Lucky 8 Lines is a great addition to any game room. 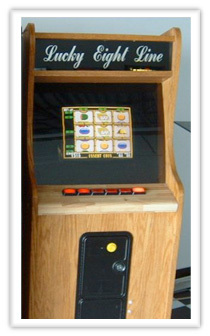 This game is on free play FOR AMUSEMENT ONLY and is in very good working order. Lucky 8 Lines has swinging Bells.